Q: Dear MBD, I’m wearing the same costume I had on last week. What can I do to spice up my wardrobe? A: Lots of gorgeous sheer shimmering costumes for late night evenings that are inexpensive and travel easy are on our site. While you don’t need to have a new costume for every performance, you never want to feel like you have to repeat the same costume over and over again because it’s your favourite one. Try mixing and matching. Get entered to win free earrings and jewelry when you let us know you bought this costume this week! The first 5 people will be sent earrings and a bracelet! Tag us or post it on our Facebook page and let us know! MissBellydance.com would like to say Mabrook to all troupes that had their debut at Attack of the Bellydancers 2017. Our archivist sent us photos and information about the show that left us very excited about the new dance teams in Atlanta. Just some advice from inside the sewing halls of our store as we want to see you continue and thrive in Atlanta! We’re here to support you! Sabia, Maiea and Hasna dancing together! 🙂 We love this! Congratulations and let us know what we can do to assist. Reach out to us here on our blog or on social media to get coupon codes for dance. All those who attended the show may remember that we are giving you a 20% discount on orders of $50 or more now until the first day of Fall. We can’t wait to see what else you bring to life for our beloved international town, community and raqs world! We’re also happy to hear that money for SEEDs Atlanta was raised! The Atlanta Culture Club will be making a donation as well this year! Very happy to be involved in that! More info and praise coming from our way! From Andinha: It’s important to keep up with what is going on in the Middle East and Africa as well as the international communities where people from the region are residing. This is where you’re going to find the root of the dance you love as well as its development. This is to what producers in the dance world need to be paying attention. Recently, I included in a show review examples of what is popular in the region or what is being celebrated. I don’t see enough of this in the United States’ cultural dance communities. I see it only in our international circle, nations specific community centres and that one time a year that a generous donor partners with an incredible producer and brings bands from back home on tour ([Cheb] Khaled, Hakim, etc.). Groups like A-Wa are currently touring. Balkan Beat Box is their producer? That’s what I heard on a radio interview. I’ve seen BBB as well years ago. I remember spending, like, the last $40 I had on me to get a ticket to their show because it was so important for me. It’s rare that I find regional music and learning about the cultures that make-up raqs sharqi of no interest to dancers. Most Middle East dance enthusiasts want this music. They don’t want to be “behind” the times. Take a moment to hear the newest and latest music in the region. Encourage your friends to evolve with it. Reach out to these bands, become a fan, learn their backgrounds and what dances they would do with their music. Ask them to come and perform if you can. Be involved with the actual region you’re representing as ambassadors through dance. Here’s my latest fav… A-WA band. Thanks for reading! Thanks Andinha for keeping us up-to-date. There are a lot of thoughts around this topic and we’re in agreement that one should definitely take advantage of classes in person. However, for some, that’s not always possible. As much as we agree one can’t do all things online because one can miss the benefits of being social, you can still gain a lot from web-based raqs sharqi courses. Like it or not, they aren’t going anywhere and we’re happy about that. During Bellydance Fashion Week, several courses were made available online. We did have attendees tune-in and leave comments. They interacted from the comfort of their homes. If only things like this were available years ago for those with broken legs, the sick or those who were just too far away to take a two-day trip half around the world. 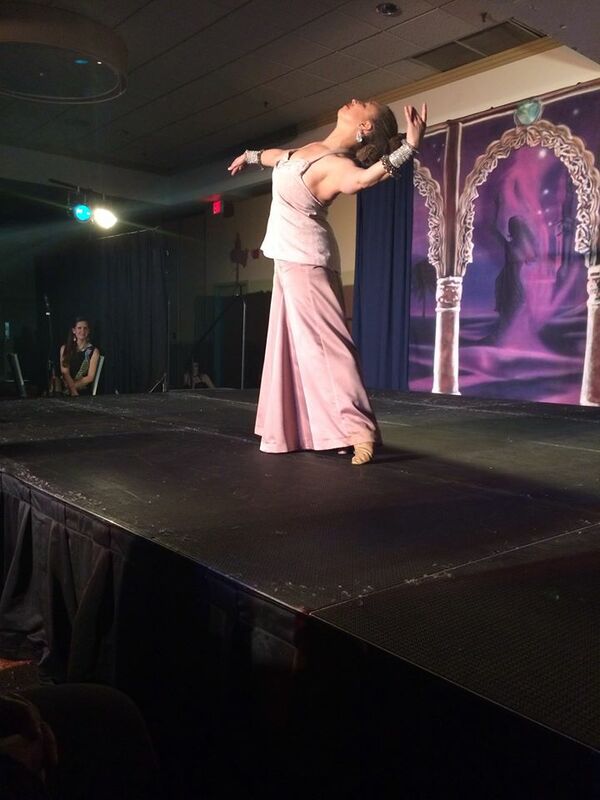 Eshta Amar’s course was offered online during Bellydance Fashion Week Atlanta. We’re grateful the team made that available. As with anything, use the internet responsibly. Use online courses to gain skills and become better at the art vs. avoiding the social aspect that is a part one’s dance community. We look forward to making many things available via web-based alternatives and not just our clothing. We understand that sometimes a fan just can’t make it. So kudos to those who are offering these classes and thinking outside the box. They are bound to bring in more interest and encourage us all to get together in person for some quality raqs time. What is so special about events sponsored by Atlanta Fusion Bellydance and MissBellydance.com? There is a real commitment to fun! These events provide an opportunity to go beyond the norm in our industry. This is more than watching people dance, this is your chance to get up and be a part of the energy through cultural exploration of fashion in our industry. 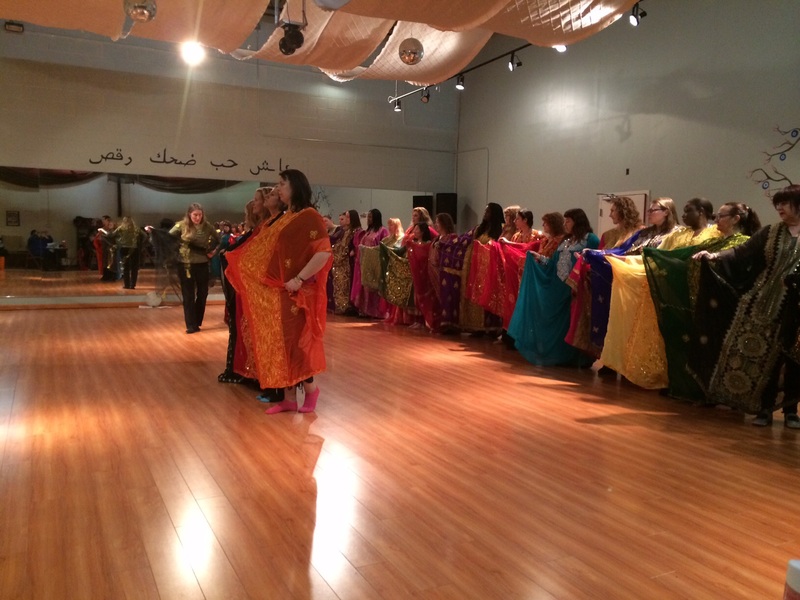 For more than 5 years AFBD has hosted bellydance conferences and workshops that received rave reviews. People travel far and near to see unique artists in a fun and exciting setting. MissBellydance.com has been proud to sponsor and support these amazing dance conventions. AFBD is dedicated to carefully designing schedules and workshops that appeal not to just to dancers but also cultural dance education enthusiasts, ex-pat families, professors and their students. These events open up discussion on how we view and respect ethnicity in dance, the business side of our craft as well as how to incorporate creativity. Bellydance Fashion Week will be right in line with a focus on culture and why we do the things we do. It’s a perfect opportunity to look at the political past and the creative future. We encourage you to grab your friends and family for a week of history, a look at what’s driving current trends and get a peek at the future. We’ll not only walk down memory lane but make new ones that will last a lifetime. We’ve been discussing competitions and opportunities to showcase the cultural art that you’ve learned. We are thrilled that so many appreciate it enough to invest in it by going to classes, perfecting the craft and absorbing cultural aspects. Essence of Bellydance, as mentioned before, is working hard to make sure your hard work will have a prominent stage on which to show your passion for Raqs Sharqi. Their Essence of Bellydance Competition takes place this coming September in Atlanta Georgia. All details are listed on their website as well as instructions on registering. To better understand the environment and staging for EOB2015, have a look at past event videos we’ve included. This is a chance to not just show your appreciation for the art but also to network and get feedback from those working in the Raqs industry globally. There are two competitions, one titled “Oriental Competition” and the other “Fusion Competition.” Judges include Luna of Cairo, Soraia Zaied, Petite Jamilla and other notable names. There will also be an audience choice winner who will earn a trophy as well. The prizes range from gift bags and tiaras to $1000 in cold hard cash – not a check…but actual cash. MissBellydance.com will also be giving away quite a few grand prize packs for several winners. It’s certainly going to be worth one’s while to showcase their love and talent for the dance. Be sure to read the competition page carefully and understand that there will be preliminaries for the soloists. Troupes will be officially registered once all participating competition performers in their group have paid in full. So keep that in mind and make sure your fellow raissat know that so you don’t miss out. This is a great opportunity to meet the stars, gain new fans and interact on the conference circuit which is one of the best ways to be successful and continue in the art stateside. We want you to feel encouraged and excited about it so reach out to Team Essence or even us here at MissBellydance.com with your questions. We’re very excited to be a part of the Essence of Bellydance celebration of Raqs Sharqi and we look forward to seeing you there! Annual attendees, remember how much fun we had in 2013 & 2014? You’re gonna have fits of joy at 2015! Every year dancers and fans of dance art celebrate International Dance Day with festivals and performances. There is an actual council and committee that work toward keeping this day as an important one in our lives. The focus is not just for dancers but for those who may not be aware of national dance or those who are not particularly “involved.” This day raises awareness of dance education and helps people become a part of the wider dance communities that are active around the world. Of course, MissBellydance.com is completely onboard these efforts. We’ll be highlighting the website for IDD and reminding others to celebrate and honour dancers in their communities. We’re also offering a discount of 12% using code “justdance” for all orders of $75 or more. In the future, we’ll be reaching out to other dance teams such as Atlanta Fusion Bellydance and create a broader celebration of this incredible day. Meanwhile we want to know what your plans are for this holiday. Send us photos, tweets or tag us on Instagram with your International Dance Day photos. As customary, we’re giving away prizes to five submissions from our IDD prize drawing. We’ll also feature the winners in blog posts and on our social media. Let’s share International Dance Day together! Happy Dancing! Teacher, Scholar, Designer, Amazing Mother…I can go on and on… adding to that spiritual leader perhaps for those in the raqs world who are moved emotionally by her contributions and praise her work continuously …and rightly so. Over the past few years I’ve gone on and on about how awesome she is. I can barely find the words because she leaves me absolutely speechless. Donna Mejia is someone you just HAVE to meet. She has several courses coming up and wonderful videos. Follow her on her Youtube. She also has a great website. Lady Mejia also sews and if you saw her elegant ensemble at TribalCon you’ll want to follow her sewing blog. I could go on and on about Donna Mejia for days. And I have. Past blog posts, recently cataloged on the AABCE page feature a few of my OMG – Donna Mejia moments. Others also talk about how amazing her seminars are in addition to the presentations she has put on at Smith College. In addition to her amazing stage work, I am a huge fan of her lectures. -Fills a void, provide checks and balances for areas of Raqs Sharqi that others just don’t “think” about. -Makes “Raqs Sharqi” make sense and cents: helps many understand in what they are investing and provides the industry with a better method of presenting the art as valuable and worthy in arenas where it is often ignored. But don’t just take my word for it, go see for yourself! We are grateful for this great share by our archivist. Donna Mejia is a wonderful supporter and educator. We appreciate her work as well! We know many of our fans are her fans as well and love to take pictures of themselves in her presence. So, send us your selfies with Donna Mejia! Post them to our Facebook page. Share with us what you love most about one of her recent lectures and where you plan to see her next. Let’s continue to share and promote her great work with everyone around us!